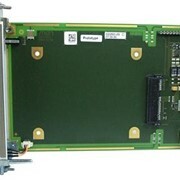 MEN offers a full range of 3U and 6U compactPCI single board computers on different performance levels based on Intel and PowerPC architectures for rugged industrial and embeddded applications. 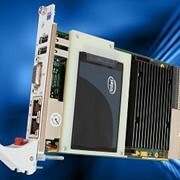 MEN offers a full range of 3U and 6U CompactPCI® single-board computers on different performance levels based on Intel® and PowerPC® architectures for rugged industrial and embedded applications. In addition to state-of-the-art PC functionality, including multi-core technology, all CPU boards feature industrial functions such as real-time clock, or watchdogs for temperature and voltage control. 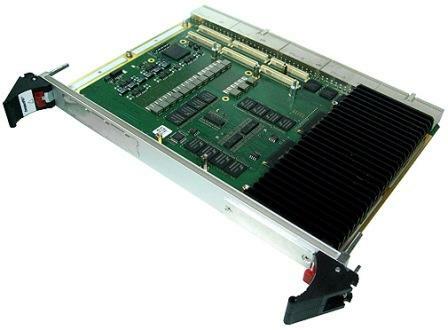 Memory and mass storage configuration possibilities include standard DRAM system memory plus non-volatile SRAM or FRAM, CompactFlash®, NAND Flash and onboard hard disks for program storage. 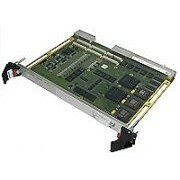 Many cards also include mezzanine slots for flexible and individual extension by further I/O. 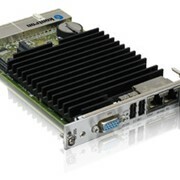 A growing number of boards are equipped with FPGAs for implementation of further application-specific functions. 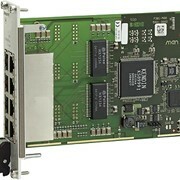 MEN is also gearing up CompactPCI® itself for the future, through the new CompactPCI® Serial standard. MEN solutions are completed by a huge number of industrial I/O boards based on M-Module™, PMC, XMC and PC-MIP® ANSI/IEC standard mezzanines. Available functions extend from analog and binary I/Os to instrument devices up to fieldbus, network and graphics. Complete CompactPCI® systems are delivered individually configured, wired and tested on the basis of Schroff® mechanics and backplanes. 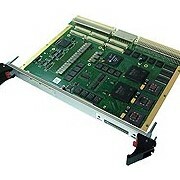 Some boards are even prepared for busless operation, so that MEN can provide a myriad of CompactPCI®-based solutions, from larger blade servers to UMPC. Software support comprises BSPs and driver packages for Windows®, Linux and several popular real-time operating systems. 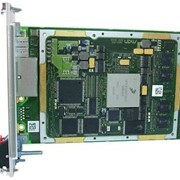 MEN CompactPCI® boards are designed to work also in rugged environments - qualified or screened regarding shock, vibration, drop, resonance, humidity, chemicals, and up to -40 to +85°C operating temperature. 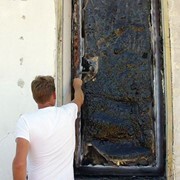 MEN boards have a long-term availability of minimum 5 up to 10 years (and longer according to individual agreements) depending on the components used. 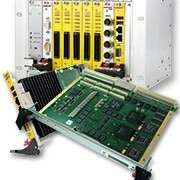 The rugged CompactPCI® products from MEN are often used in railway and transportation applications, e.g. for passenger information systems, or WTB or MVB solutions for vehicle networking, as well as for mission-critical industrial systems. OEM operates globally to provide leading edge, high technology products and services to the rail, transportation and industrial markets. Using a combination of their own "OEM branded" proprietary hardware items, the "OEM Cloud" software and off-the-shelf third party components OEM delivers high reliability wireless monitoring and control solutions for essential subsystems such as: - Heating ventilation and air conditioning (HVAC) - Speed measurement and driver advice - Vehicle and trackside condition monitoring - Tailored electronic and software solutions - Security surveillance and passenger information - SCADA Solutions An extensive range of Off-the-Shelf modules and OEM’s proven manufacturing process combine to provide a sophisticated, flexible and scalable railway (EN50155) compliant product suitable for a wide range of applications. Communications interfaces such as WiFi and Cellular along with standard train and bus network protocols permits easy integration. 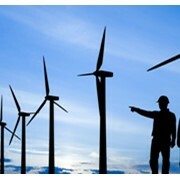 The flexibility and rugged design make the product ideal for ancillary markets such as transportation, SCADA, utilities, oil and gas. The “OEM Cloud” provides a pay as you go model to the customer for the use of the OEM Internet Web portal and data streaming services. The portal provides the customer with the appropriate business intelligence to enable them to make improvements in their operations. 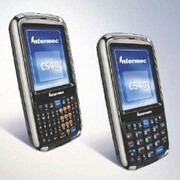 Mention IndustrySearch so OEM Technology Solutions can best assist you! Get a callback from an expert at OEM Technology Solutions to help answer your questions.